The earliest known reference to cricket in Canada is of matches played at Ile-Ste-Helene in the Province of Quebec in the year 1785 on the site where the Montreal Exposition buildings now stand. Historical records do not divulge when cricket was first played in Canada, but it is generally assumed that the game was introduced into the country by British soldiers following the historic battle at the Plains of Abraham near Quebec City, between the armies of General Wolfe and General Montcalm in 1759. The roots of Canadian cricket spring mainly from the regions of Upper Canada and in particular from around the little town of York, now known as Toronto, in the Province of Ontario. During the early years of the nineteenth century the game was encouraged in the town by George A. Barber, a young English schoolmaster. Today he is considered to be the father of Canadian cricket. Barber was a man of many talents – he was publisher of the Toronto Herald and also a master at Upper Canada College. In 1827 he helped found the prestigious Toronto Cricket Club and in 1829 played a large part in introducing cricket into the newly established college. It was Barber who instigated the historic series between the Toronto Cricket Club and Upper Canada College in 1836. These matches are still played annually, and through the years both clubs have turned out a host of talented cricketers who have gone on to represent their country. In the year 1844, Canada and the United States of America met in their first international at the St.George’s Club in New York on the site where the New York University Medical Centre is now located. This was over thirty years before the famed England versus Australia series began and historians believe the contest is the oldest international sporting fixture in the world. George Parr brought the first touring team to Canada from England in 1859 and although the tourists were far too strong for the locals, the visit was a great success, becoming the first cricket tour in history. A product of the tour was the fascinating book describing the adventure by Fred Lillywhite entitled “The English Cricketers Trip to Canada and the United States.” It is one of the earliest books on the sport and is now a prize in any collector’s library. By the time Canada became a nation in 1867, the game was so popular it was declared the national sport of the fledgling country by the first Prime Minister, Sir John A. Macdonald and his colleagues, according to Canadian cricket historian Donald King in the columns of “The Canadian Cricketer” in April 1973. However, with the advancement of baseball in the United States following the Civil War (1861-65), cricket began to decline, despite tours by Australian and English teams. In 1872 the third English touring side arrived under the leadership of R. A. Fitzgerald. In the ranks was none other than the immortal Dr. W. G. Grace. The good doctor lived up to his colossal reputation by scoring a magnificent 142 against the Toronto Cricket Club. This innings was to stand for over one hundred years, as the highest individual effort by an English batsman in Canada, until eclipsed by David Gower at Winnipeg, against Manitoba, during the 1876 tour by the D. H. Robins XI. The first Australian team to tour Canada was the 1878 side led by Dave Gregory. It included such greats as Charlie Bannerman, Fredrick Spofforth, W. L. Murdoch and John MacBlackham. In a match played at Montreal, Bannerman scored 125. It will be remembered he made 165 retired hurt in the first test match at Melbourne in 1877. During these years of healthy cricket activity in the east, the game was spreading rapidly in the west. In 1864 the North West Cricket Club was formed in Winnipeg and in 1876 the famous Victoria Cricket Club was founded on the west coast. Following the formation of these two historical clubs, other teams appeared in the Prairie Provinces and in Alberta and British Columbia. The game was now beginning to take a strong hold west of Ontario and the sport was being played nationwide. In the summer of 1880, the first team to leave Canadian shores journeyed to England under the captaincy of Thomas Dale. The tourists were not considered to be official by local authorities and in addition, the side ran into several problems. Dale was arrested during the match against Leicestershire and accused of being a deserter from the British Army. The Rev. T. D. Phillips sailed from Canada and took control of the team, but unfortunately the tour collapsed and the hapless Canadians returned home. The year 1887 saw the first official tour undertaken by a Canadian team. A capable side under the captaincy of Dr. E. R. Ogden toured the British Isles and took on several of the counties on level terms. The team far from disgraced itself, recording wins over Ireland, Derbyshire, Warwickshire and Leicestershire. Edward Ogden, who was an all-rounder, had a sensational tour. He hit up scores of 98 against Durham and 133 against Hampshire, and captured 9 for 83 against the M.C.C. at Lords. In 1892 a major step forward was taken when the Canadian Cricket Association was formed to control the game on a national basis. One of the earliest provincial associations was that of Ontario which was formed in 1880. Other provinces followed, including Manitoba 1895, Quebec 1902, Alberta and Saskatchewan 1910, British Columbia 1922, Nova Scotia 1967 and New Brunswick 1980. During the 1890s the Canada versus United States matches surged to a new popularity with the emergence of the two greatest all-rounders in the history of North American cricket, in John Barton (Bart) King of the United States and John M. (Jack) Laing of Canada. These two talented players dominated the local scene for almost twenty years and sizeable crowds gathered to see them play. The performances of King with bat and ball were nothing short of spectacular. He humbled the best batsmen of England and Australia, and in 1909 took all ten wickets for the gentlemen of Philadelphia in a fixture against Ireland, to finish with 10 for 33. Three years earlier in 1906 he had scored a mammoth 344 not out for Belmont against Merion to set a North American batting record which still stands. The season before he had established the previous record when he scored 315 for Belmont against Germantown. John M. Laing appeared on a total of 13 occasions for Canada against the United States, Ireland, Australia and England. During his international career he captured a total of 77 wickets with his fast swerving deliveries, and experts of the day considered him to be world class. In the match between the United States and Canada at Toronto in 1895, he devastated the American batting line-up to capture 7 for 21 in the first innings, to record the first hat-trick in the International Series when he clean bowled J. W. Sharp, S. Goodman and L. K. Mallinkrodt. The following year he did even better when he captured 6 for 17 and 8 for 37 against the United States at Manheim, Pennsylvania, to set a Canadian bowling record which has endured to the present day. Laing was also a more than capable batsman, and while playing for Wanderers Cricket Club against the Douglas Park Cricket Club in the Chicago competition in 1903, he scored 249 and, with J. G. Davis 103 not out, helped to establish a 4th wicket batting partnership record of 313 runs for North American cricket. Although the clouds of war were gathering in E urope, Australia toured the United States and Canada in 1913 under the leadership of Austin Diamond, and played a staggering total of 53 matches, experiencing one lone defeat at the hands of the Germantown Cricket Club of Philadelphia. The side contained several giants of the game, including Charlie Macartney, Warren Bardsley, Arthur Mailey and Herbert Collins. During a match against Vancouver, the Australians compiled 633 runs for the loss of 8 wickets, to record the highest innings total ever achieved in Canadian cricket. 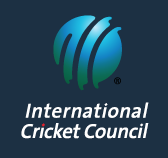 At the other end of the scale, the Winnipeg Cricket Association was dismissed for a meager 6 runs against the visitors from Down Under to register what is believed to be the lowest innings total in Canadian representative cricket. At New York in 1846, the Canadian side was bundled out for a dismal 28 against the United States to record the lowest effort by the national side. The talented Charlie Macartney enjoyed a spectacular tour, scoring a total of 2390 runs at an average of 45.92, which included seven centuries. In addition, he bagged 189 wickets at an average of 3.81 runs apiece. This outstanding personal performance may never be eclipsed, as it is unlikely tours of such magnitude will be contemplated in the future. With the coming of the Great War of 1914-18, the fortunes of Canadian cricket further waned. The International Series with America ceased in 1912 and twenty years were to elapse before another major cricket tour of the country took place. Following the Great War, the Hon. Norman Seagram who came from a prominent Canadian family, gathered together a strong national side which included such Dominion stars as H. G. Wookey and C.R. (Sandy) Sommerville, and carried out a most successful tour of England during the 1922 season. In 1932 the Australians arrived under the captaincy of Victor Richardson. In later years, his grandsons, the Chappell brothers, Ian, Greg and Trevor were to become Australian cricket legends. The side contained several notable international players including Stan McCabe, Charles (Chuck) Fleetwood-Smith, Arthur Mailey and the famous Donald Bradman (later to become Sir Donald). The tour was most successful, despite the ravages of the great depression. In a match against Western Ontario at Guelph, the masterful Bradman scored 260. This innings stood for some 58 years as a Canadian record until it was surpassed by right-hand batsman, Don Maxwell, when he scored 280 not out for the York University Cricket Club against the Common-Wealth Cricket Club in the Toronto & District Cricket Association competition during 1990. During a match played at St. Catharines, Ontario between Ridley College and the tourists, L.C. (Clarke) Bell, a tall hard hitting left-hander scored 109 not out to record the only century against the 1932 Australians. Bell was to go on and become of the finest batsmen in Canadian cricket history. In the confines of a brief career, he scored a total of 16 centuries and his performances in the John Ross Robertson Trophy (symbol of club supremacy in Canada) were nothing short of spectacular. In a total of 25 visits to the batting crease, he scored 1401 runs, including 5 centuries, with a personal best of 193 not out for the Toronto Cricket Club against the Bell Telegraph Cricket Club in 1930. His final J. R.R. Trophy batting average was an impressive 70.05 runs per innings. Sadly, Clarke Bell was to die during World War 11 at the bloody Battle of Dieppe on August 19, 1942, just 3 days short of his 32nd birthday. His death came like a thunderbolt to the sporting fraternity of Toronto, as he was a better than average boxer, rugby and ice hockey player, and through the years had built up an array of admirers. Another talented Canadian batsman the Australians encountered in 1932 was W. R. G. (Reg) Wenman of British Columbia. Wenman, who was a dynamic right-hander, was probably the most prolific run-getter in Canadian cricket. During a career which spanned some 40 years, he scored a record of 37 centuries, including 3 centuries in 4 days at the Western Canada tournament held at Regina in 1929. The only cricketer in North America to record more centuries than Reg Wenman was the American John Barton King who scored 38. Despite the hardships of the thirties, Canada undertook a most ambitious tour of England in 1936 under the captaincy of W. E. N (Billy) Bell. The side was gathered together under the patronage of the Hon. R. C. Matthews who had been the Minister for National Revenue in the government of Prime Minister R B. Bennett. He was a pillar of strength to Canadian cricket for many years prior to World War 11. The side made sporting history when they defeated the M.C.C. at Lords by 76 runs to record the first victory by Canada over an English X1. One interesting member of the Canadian side of 1936 was all-rounder Lloyd Percival who was an expert on physical fitness. In later years, the U. S. S .R. was to adopt his training techniques for ice hockey players which enabled the Soviets to rise to world prominence. Also on the team was his brother Gordon who, in 1931, had recorded a century in 42 minutes while playing for the Yorkshire Cricket Club against the Rosedale Cricket Club in Toronto. The first 50 runs came in 17 minutes and he was finally dismissed for 177 runs, compiled in just 80 minutes. Some years later in 1954, a third brother Allan toured England with the Canadian national side. On the resumption of the Canada versus U.S.A. series at Toronto in 1963, Ontario batsman Ray Nascimento rattled up a sensational 176 runs to eclipse the old individual batting record of 111 set back in 1893 by the Rev. F. W. Terry. His prolific innings enabled Canada to reach a record total of 6 for 403 which stood until 1985 when Canada scored 8 for 437, also against the United States at Toronto. The greatest tally ever recorded in a single innings against Canada is 374 runs for the loss of 8 wickets, which was scored by a Jamaican X1 against Canada at Kingston during the 1984 tour by the Canadian national team. The most prominent personal batting performance against Canada occurred during the 1973 tour of North America by Ireland. In an international match played at Toronto, Irish right-hander Ivan Anderson scored a forceful 198 not out. To the present time this innings also rates as the finest by an Irish player on the international scene. The old record against Canada had been set by the great Australian all-rounder Charlie Macartney who made 186 for Australia against a combined Canada/U.S.A. X1 at Toronto in 1913. Three notable bowling feats in Canadian cricket worthy of mention include the performance by F.M.Pellatt at Trinity College School, Port Hope in the Province of Ontario, who took six wickets in six balls in 1890 and the sterling effort of Toronto player E. Attewell of the East Toronto Cricket Club who bagged 190 wickets for 615 runs at an average of 3.39 in 1894. The best personal performance ever recorded by a Canadian bowler appears to be the superb effort of C.A. Forbes who captured 10 wickets for 4 runs while playing for Trinity College against Upper Canada College in 1940. On the international front, fast bowler Joel Bradbury of the Toronto Cricket club captured 9 wickets for 6 runs to skittle the United States for 32 runs at Toronto in 1854. to the present time this is still the lowest innings total in the international series by the United States against Canada. For over 150 years Bradbury’s first name and bowling analysis remained a mystery until discovered by American cricket historian, David Creeth in 1996. Bradbury played for Canada on three occasions but old records indicate he suffered from poor health and he quickly disappeared from the international scene. As immigrants began to arrive in Canada from British Commonwealth countries, following World War 11, the journey along the road to recovery began namely through the efforts of Lewis Gunn and Donald King, two stalwarts who worked tirelessly to improve the sport at the national level. They were ably supported by Charles D (Charlie) Wilson, another keen enthusiast, who devoted over 50 years of service to cricket in Ontario. Gunn gathered around him a keen group of cricket followers and along with C.C.A. President, W.E.N. (Billy) Bell, was responsible for the Canadian cricket playing provinces meeting for the first time in the newly constituted national championships at Toronto in 1947. The Province of Ontario emerged victorious during the tournament and through the years has gone on to win the Bracht Trophy on a record total of 10 occasions. The 1975 Canadian season produced the sensation of the decade when Eastern Canada defeated the touring Australian World Cup side led by Ian Chappell at Toronto by five wickets. Hero of the Eastern Canadian victory in this one-day match was Ontario batsman Franklyn Dennis who scored a fighting 57 not out against the Australian attack of Dennis Lillie, Max Walker and Allan Hurst. The stage was set early in this historic event when Canadian bowlers Jitu Patel, Rick Stevens and Roy Callender bowled competently to dismiss the powerful Australian side for a modest 159 runs to pave the way for victory. During the first International Cricket Conference Trophy staged in England in 1979, Canada emerged as one of the top associate member countries and put up a great fight in the final against Sri Lanka at Worcester before going down by 60 runs. This creditable showing enabled Canada to advance into the 1979 World Cup where they performed admirably against the cricket might of England, Pakistan and Australia to establish itself as one of the leading amateur cricket playing nations of the world. A major event in the history of Canadian cricket occurred on November 5, 1989 when the United Way Cricket Match held at the Toronto Sky Dome between the West Indies and a Rest of the World X1 drew a crowd of 40,570 to set a new attendance record for North America. It was also a bonanza for the United Way of Greater Toronto when a record total of $550,000 was raised for charity. 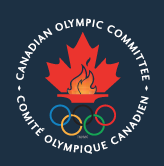 During the summer of 2001 another milestone occurred in the annals of Canadian cricket when Canada played host to the International Cricket council Trophy tournament in the Toronto area. A total of 22 nations took part, making it the most important cricket event ever staged in the Americas. Canada finished 3rd in the tournament behind Holland and Namibia to advance to the World Cup in South Africa 2003. Fred Heather’s introduction to cricket started in England. He was born in Godalming, England on January 27, 1890. As a boy, he put up score tins for the Broadwater Cricket Club (C.C.). Here he learned to play cricket and eventually captained a team in Cobham, Surrey in 1916. Emigrating to Canada in 1921, he continued to play the game and was a member of the St. George’s C.C. that won the Toronto Championship in 1922. Heather also played for the Bell Telephone C.C., the Toronto & District Champions in 1927 and J. R. Robertson Finalists for the Canadian Championship, 1928. Upon retiring as a player, Fred Heather embarked on a career as a Canadian cricket umpire. He started umpiring in Toronto in the late 1920’s. His first international experience came when the Toronto C.C. faced the Bermuda Wanderer’s C.C. on August 4, 1931, marking Bermuda’s first visit to Canada. In 1932, he umpired for the GoodWill Tour. This was an Australian team that toured North America featuring Don Bradman and many Australian Test level players. Heather umpired for the Eastern Canada vs. Australia matches. With an estimated 8 000 fans, this set an attendance record for the sport of cricket in Toronto. Additional experience includes: Sir Julien Cahn’s Touring Team (First class caliber team of all-stars), 1933; Cambridge University Vandals, 1934; M.C.C. (England) Tour of Canada 1937, 1951, 1959. Held over three days, the 1951 M.C.C. Tour was the inaugural First Class status match ever held on Canadian soil. The 1959 M.C.C. Tour commemorated the centennial anniversary of England?s first cricket team to visit Canada. Heather also umpired numerous inter-provincial matches for the John Ross Robertson Trophy starting in 1931, emblematic of the Canadian Cricket Championship. In 1951, he umpired for the Lord Atholstan Cup match between Ontario and Quebec. He also had the unique duty of umpiring the match between the Canadian Colts touring team which visited the prestigious Highgate School in London, England in 1967. In addition to umpiring, Fred Heather contributed to the future success of cricket in numerous roles. He was both Secretary and player for the St. Georges C.C. and the Yorkshire C.C. in 1922 and 1926 respectively. He became a founding member and first Secretary-Treasurer for the Toronto and District Cricket Umpires Association in 1931. In 1935, he became the first Secretary of the newly formed Umpire’s Control Board, responsible for 125 scheduled games and 250 umpire appointments that year. During a 1938 Umpire’s Control Board meeting, Heather voiced his concern for the image of cricket stating it was deplorable to light a cigarette during the fall of a wicket. Caring about the future of cricket, Heather started a school for cricket umpires, attended by both umpires and players. As principal and professor of the Cricket Umpire’s School, Heather set the curriculum to ensure a high standard of officials for future Canadian cricket matches. He was instrumental in starting a junior cricket league in Toronto, resulting in the formation of 18 junior cricket clubs in 1931. Heather was the Secretary for the new Toronto Junior Cricket League. This league provided cricket for 300 junior players each season. In 1933, two junior teams from this league were the first to play cricket at the Canadian National Exhibition. Furthermore, Heather was the Vice-President of the Dentonia Park C.C. in Toronto, which won the Godin Cup in 1937 and the Continental Life Trophy in 1938 as City Champions. Heather became the Public Relations Officer for Dentonia Park Cricket in 1941. Financial support for cricket resulted from Heather’s fundraising skills which included a donation from Charles Aubrey Smith of the Hollywood C.C. Lastly, Heather authored numerous articles for newspapers and magazines to increase awareness and support for Canadian cricket. As of August 12, 1961, Fred Heather had umpired in 1 002 consecutive matches without missing a game. He was a Canadian cricket umpire of high caliber for 38 years until his retirement in 1967, making him the longest serving umpire in Canada. Recognizing Fred Heather?s achievements, the High Commissioner for Canada requested the honour of his company to attend the ceremony in Westminster Abbey to commemorate Canada’s Centennial Year. As one of the first Canadians to be a member of the Association of Cricket Umpires (ACU) of England, he earned “Full Member Status” on June 7, 1968. This association is recognized worldwide and members must pass a written examination with 80% or higher and perform two years of field experience at a level acceptable to the ACU Passing Committee. As the highest level awarded by the ACU, it is equivalent to a Level 5 umpire recognized by Cricket Canada’s Umpiring Certification Committee (highest level for Canadian umpires). Furthermore, he was made the first Life Member of the Toronto Cricket Umpire’s Association on January 12, 1970. This motion was passed unanimously. The cricket community lost a legend of cricket when Frederick James Heather died February 22, 1976, in Toronto. Fred Heather transformed Canadian cricket by giving youth a league to play in, a school for umpires to learn in, and holding cricket to a higher standard through his consistent actions to serve the sport. Heather’s Legacy Thirty-four years since his death, 2010 has become a year of recognition for Frederick Heather. He became only the ninth person to be awarded the Jack Kyle Development Award for Outstanding Achievement in fostering the growth and development of cricket in Canada. Sport Ontario recognized Heather with the Syl Apps Special Achievement Award. The U.S. Cricket Hall of Fame inducted Heather honouring him as the first recipient of the Golden Age Award for pioneers of cricket. Heather’s contributions to cricket were published in the Cricket Statistician, Referee Magazine and Inside Toronto. Heather’s story was added to the Godalming Museum?s Wall of Faces, and the Pier 21 National Museum in Halifax, Nova Scotia. Pier 21 has international importance as it acknowledges the significance of immigration to the building of Canada as a nation. Frederick James Heather contributed to the building of Canada through cricket and his story is one to be remembered.